Having taken a look at the secret superstars on offense in the NFL earlier this week, today we shift focus towards the other side of the ball, and dive deep into the league’s secret superstars on defense. 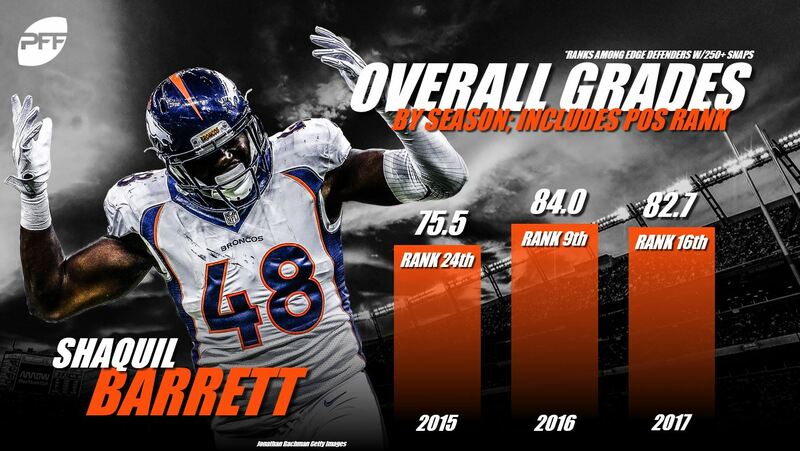 After flashing for Denver in the 2014 preseason, Barrett was stashed on their practice squad before forcing his way onto the team proper in 2015 with a 17-pressure preseason. Since then, he’s been superb with the only surprise being his excellent play doesn’t get more notice. 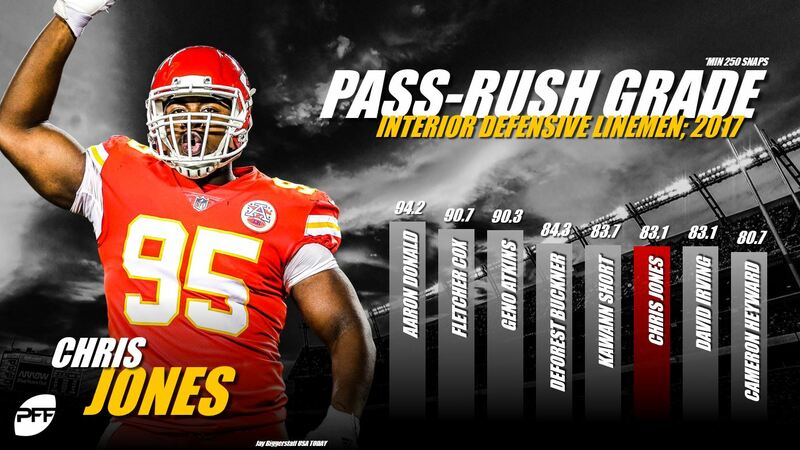 Obviously, part of that is being on the same team and playing the same position as a certain Von Miller but when you couple last season’s 43 pressures with his always solid run defense (overall 82.7 grade) you get a guy who is more likely than not to become a household name going forward. Amos is arguably one of those guys coaches think they can move on from but, when he’s put on the field, he’s one of those guys who constantly reminds them that’s where he belongs. Long story short, Amos simply produces. He’s never likely to be the most fluid guy in coverage but he still makes plays – an interception, three other pass breakups, two forced fumbles – and is a secure tackler (ninth among safeties in tackle efficiency) despite a penchant for putting all of his 214 pounds into his hits. Jones may well be the best player in the NFL that no one talks about. Not sure how much longer that can carry on given the level of play he’s demonstrated during his first two years in the league. Playing predominantly inside the tackles, he’s been very solid in run defense (his 80.0 grade ranks 20th among interior defensive linemen) and a force when rushing the passer (83.6 – sixth overall). It’s a difficult combination to combat and leaves him as a top 10 defensive interior player overall. If you look at King’s basic coverage stats you may wonder why he is on this list. His 63 targets, 48 receptions allowed, 433 yards, two touchdowns and a single interception equates to a passer rating against of 98.2. That’s 103rd out of 137 corners with over 100 snaps in coverage. And this is why we grade every player on every play of every game, because in that capacity, his 86.6 ranks ninth among the league’s corners. Why such a disparity? Well because a cornerback giving up all four targets on 3rd & 10 for nine yards and making the tackle on each will have a passer rating allowed of 104.2. We consider a tackle which constitutes an “unsuccessful” play for the offense a “stop” and in coverage and King had 24 of those, which was second best in the NFL. Playing almost exclusively in the slot, King has started this preseason even better than he finished last year, giving up no receptions on three targets while breaking up two. Taken in the third round of the 2017 NFL Draft out of Boston College, Johnson didn’t start immediately but from Week 4 on, made the other safety position (opposite Lamarcus Joyner) his own. 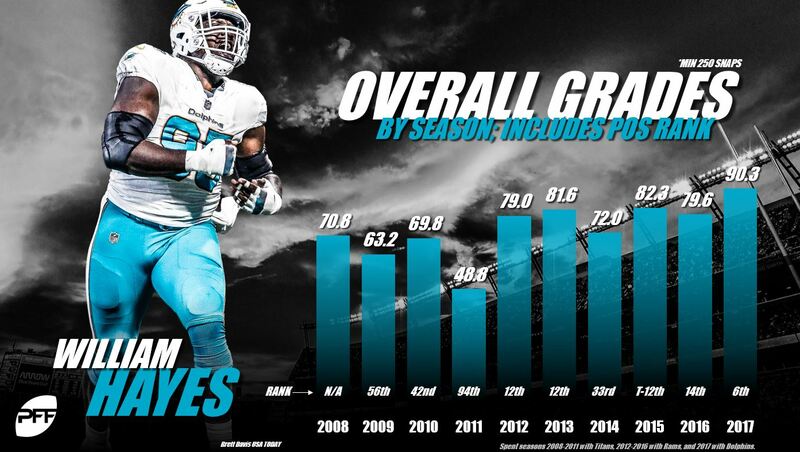 He was solid in every key facet of play, grading well in run defense (72.8) and even better in coverage (82.9). If he can continue in that vein, he and Joyner could combine to make the best safety duo in football but he’ll have to push on from a better than expected start to his career. The problem for the big guys in the middle is they don’t have “stats” so anyone not prepared to watch every player on every play generally just mutters about traits etc. (to be clear this is a problem with stats too but it’s exacerbated by general consensus of four sacks = average, regardless of how wrong that could be in either direction). For the record, Tomlinson had 13 pressures but that’s hardly the point here. Together with Damon “Snacks” Harrison, he made between-the-tackles running a perilous pursuit and ended his super rookie year with an 82.7 run-defense grade. Sometimes “Secret Superstars” are not what you expect. How about a 10-year veteran who has averaged just over 400 snaps a season and not dropped below a 74.6 grade for the last six years? At his position, in that period, he’s ranked 13th, 10th, 24th, 13th, 13th, and 5th, respectively. Hayes’ age at this point will keep him from being the cornerstone of their defense but he is also too good to let go. Playing only 271 snaps before injury last year, he was superb again, particularly as a run defender where he graded out at 91.0.